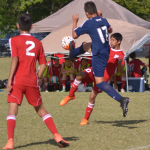 In a weekend where FC Boca Predators was hoping to get both their U-17 and U-15 teams into the Spring Classic Boys Weekend Tournament, the club had some disappointing news. Because of insufficient U-17 sign ups for the tournament, the team could have had an opportunity to play up in the U-19 division. But with a team comprised of 16 and 17 year-olds, families and coaches prefered to protect their players and sit out. 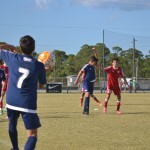 But even with the unfortunate news, the U-15 team came in 3rd place in the tournament that took place in Vero Beach. FC Boca Predators finished the cup with a 3-1 and a 1-0 win and a 2-0 loss. 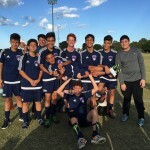 Goals were scored by Adrian mendez, Rodrigo Bonilla, Trace Tierney, and Ian Chahud. 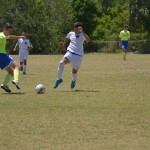 The games were tight and a storybook penalty save by the Boca Predators 12 year-old goalie, Hector Nevarez, put the icing on the cake for the team.